Looking for something new? Why not try herd observation. 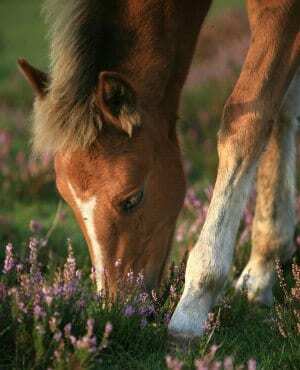 You can spend time with Sally Bennetts watching herds of New Forest ponies and learn their secreds. Understand some of their subtle communications and become more horse aware. It helps understand the ways of the forest and to appreciate the importance of leaving the forest livestock undisturbed. Sally, enjoys taking visitors and locals on walks through the forest. As well as herd observation you can also enjoy the floras and faunas of the beautiful 94,000 acre forest. Sally’s walks helps you to be mindful and take in all the small details of the forest that you might otherwise miss. You can learn some local history, discover new plants, listen to bird song, and sense the earth beneath your feet. Be transported for a while and really feel that you have connected with the New Forest. Sally’s walks are 90 – 120 minutes. They are informative, enjoyable and relaxed. Don’t forget your wellies and your rain coat. Prices start from £40 per person (min of two people max of six). For those who really want to destress Sally also offers one to one with a horse for an equine session. 1 hour session £35.00. Why not stay over at the Cottage Lodge and make a couple of days of this exciting adventure. Prices start at £25 per person per night.